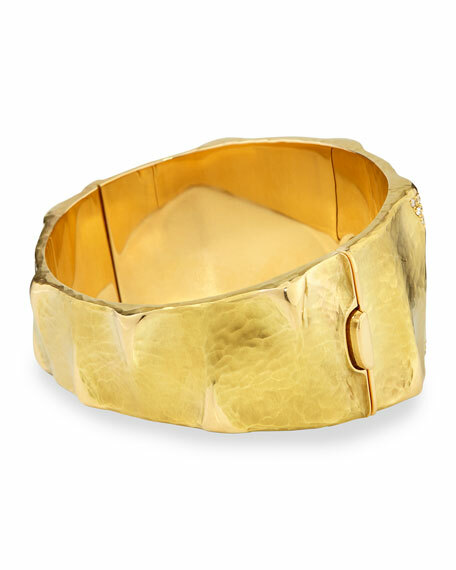 Vendorafa ridged oval cuff bracelet from the Dune Collection. 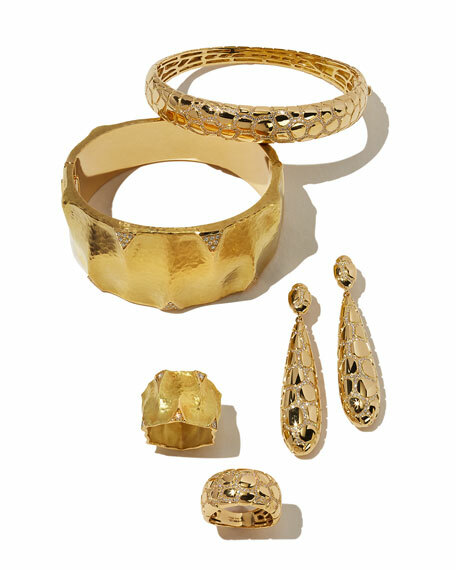 18-karat yellow gold with hammered finish. Pave white diamonds, 0.25 total carat weight. 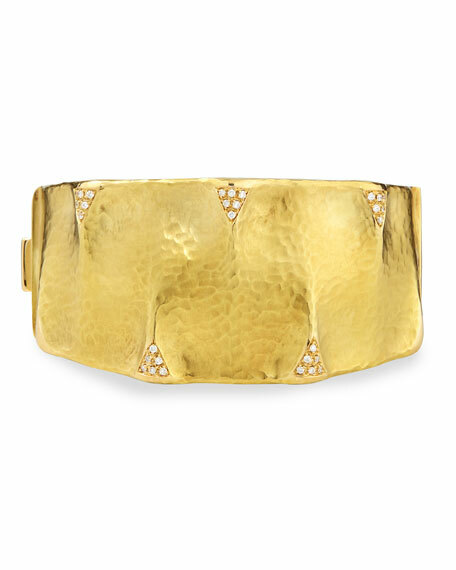 Hinged opening with push clasp.